At Innovation Lab, we revel in maintaining a broad spectred focus as we scan the world for tech trends, delve into user studies or design and implement concepts such as world first vandalism proof screens made from concrete and fibre optics, and world first intelligent fire fighter suits. So, it is perfectly natural for us to be making a beer – as long as it is a world first at something. Here’s to another day out of office! In the Arctic landscape nothing is labeled 'organic' or 'free range'. All meats are wild, all herbs are free range. More than any other herb, Rhododrendron Groenladicum or locally known as Qajaasaq embodies all the wild perfumes of the moss clad Greenland summer mountain slopes. And so it was chosen as the medium for bringing back the mountains in beer format – and three kilos were used to create the mere 1800 litres of this unique brew. 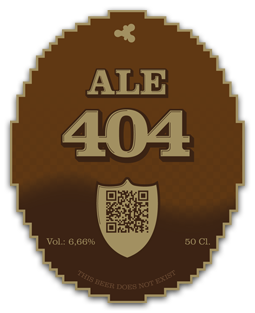 The name Ale 404 has little to do with Arctic spices – it relates to the (unfortunately) well-known 'page not found'- web error, and was a funny take on the fact that the beer was never intended for public sales. It will only be available through a very small portion of some of the best bars in Europe + a small quantum in Brooklyn. And of course vast amounts readily available and omnipresent for Innovation Lab clients and Innovation Lab event attendees.